The biggest cost associated with any datacentre is the operational running costs, which translates to people costs. Therefore, the prospect of automation that can effectively perform tasks currently done by a full-time equivalent (FTE) employee is an obvious cost-saving benefit. However, the biggest restraining force to greater use of automation is the lack of trust senior management has in the technology, which is demonstrated by the need for a people-centric approval process. Most organisations consider automation in terms of codification of run-books. However, this perception limits the imagination and restricts the potential of what datacentre automation can achieve. To realise the full potential of datacentre automation requires organisations to recognise that business transformation is also needed. 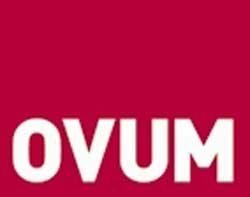 Ovum provides clients with independent and objective analysis that enables them to make better business and technology decisions.Combining the ICT expertise of Datamonitor Technology, Butler Group and Ovum, with Datamonitor Group's 350 business analysts and relationships with 18 of the largest 20 global corporations, Ovum is uniquely positioned to provide practical, actionable advice to the technology, telecoms and other business sectors.